Welcome back to our small business workflow series. Last time, I started the series off by highlighting a few key reasons your small business is operating with an inefficient internal workflow. If you missed it, check it out to get acquainted with how the series will unfold over the next few weeks. I first introduced you to Overwhelmed Olivia, your Operations Manager. This week, let’s chat about Grumpy Gus, your Sales Rep.
Gus works for Backyard Masters – a small business building beautiful backyard decks. Gus takes pride in the work his company produces, but scattered internal workflows make for a slow sales process. This ultimately results in less sales commission, making for one grumpy Gus. This is where a CRM for QuickBooks comes into play. 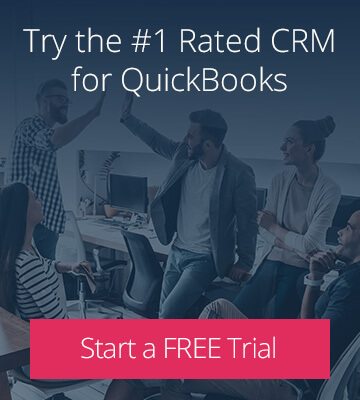 A QuickBooks-integrated CRM provides staff with safeguarded access to customer accounting info, giving certain roles (like sales) the autonomy to get more done in a day by operating more efficiently. Valuable time is no longer spent sifting through paperwork or email inboxes for customer information – a centralized database eliminates redundant and manual steps. With a QuickBooks CRM, Gus’s leads are managed in a centralized database, accessible to the whole team. Now, with all contact details and account history at their fingertips, the customer service reps can handle inquiries from customers and leave Gus to close more accounts. And, it’s not that Gus dislikes working with Olivia, but with a streamlined CRM workflow he no longer relies on and waits for his Operations Manager to create sales orders in QuickBooks. 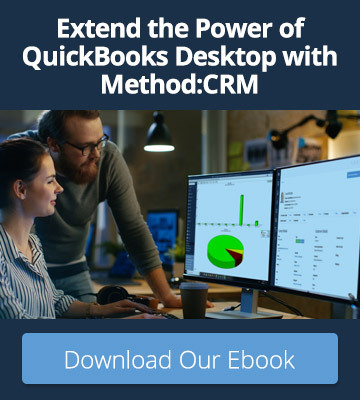 Instead, he quickly creates and sends off sales order to leads directly from within the CRM, with everything syncing in real-time to QuickBooks. Does this make Olivia nervous? Nope. She’s happy to give the sales team the autonomy to create sales orders and estimates ever since she set up discounting parameters on the team’s customized CRM order screen. Gus is much happier with the team operating within a streamlined workflow: as the first vendor to get a quote to his leads, he’s closing more deals every week. 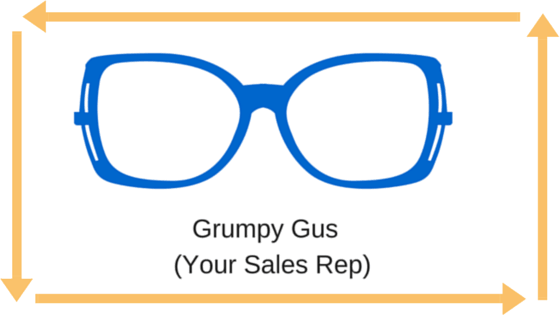 In his CRM, a contact managed as a Lead doesn’t sync over to QuickBooks until Gus converts them into a customer – a task Gus is happy to perform.